We all know that Google’s Mountain View headquarters has a colourful lawn with all the sweet Android statues. Well today, just a day before Google’s I/O event, we see a new member joining the gang. 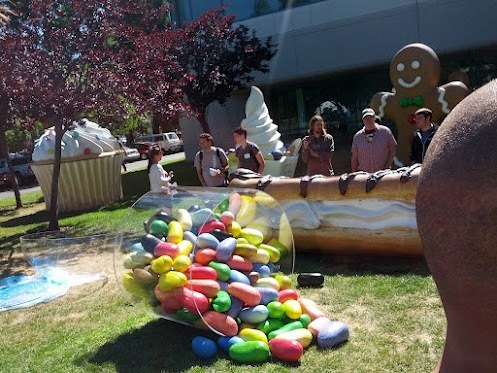 Yes, an image posted on Google Developers’ G+ page, shows a new statue of spilling jellybeans that has been added to Google’s Android lawn. Now we all know and presume that Google will be announcing the next iteration of Android which will be Android 4.1 Jellybean at the Google I/O, and with this new addition of a new jellybean statue, we can now be pretty sure about it. We have also been hearing rumours that Google will be launching the new platform on tablet device called the Nexus Tab 7 rather than a smartphone this time around. Well the event isn’t far, so let’s keep our fingers crossed and hope that Google puts on a good show. 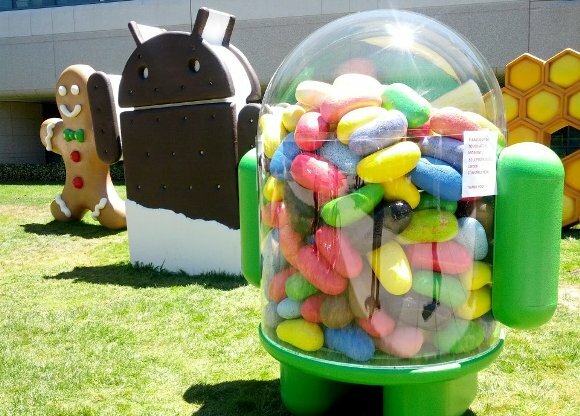 Google has now officially added an Android looking statue filled with Jellybeans at the Googleplex. Also here is a video of the new statue.